NAD Viso 1 is now available in gloss white | What Hi-Fi? The five-star NAD Viso 1 iPod/iPhone dock is now officially available in a white gloss finish, joining the existing black version. The £499 dock system connects to your iDevice wirelessly via Bluetooth aptX or directly through the rotating docking cradle. Any non-Apple device can also stream wirelessly to the dock if it has Bluetooth. 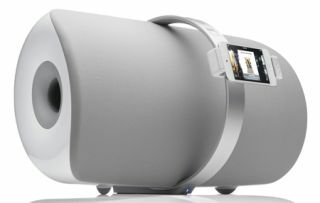 The Viso 1 uses its own Direct Digital technology to bypass the analogue audio circuits within the iPod/iPhone, giving improved sonic performance, says NAD. An optical digital input accepts 24-bit/96kHz signals from other external devices such as a TV, disc player or media streamer, while a component video output can send video from your iPod/iPhone to your TV. There's a USB port for software upgrades, an IR remote control, and the docking cradle can rotate through 90 degrees. You can read our full review of the NAD Viso 1 here.